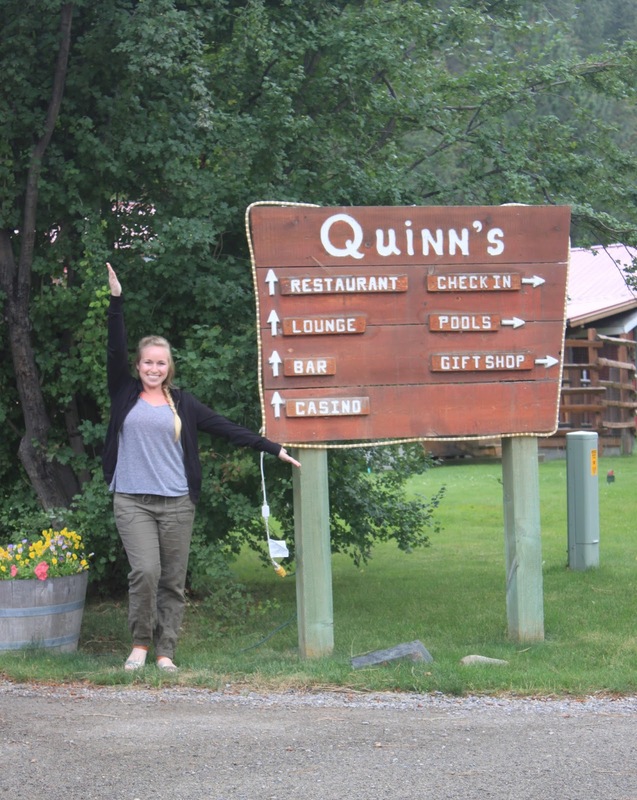 Tuesday morning, the day after we went to Glacier, the crew headed to Quinns Hot Springs. A hotel with cool cabins and natural hot springs that boast health and healing benefits. Sweet! Soon after we got there, we all tried the different pools with various temperatures and just hung out. 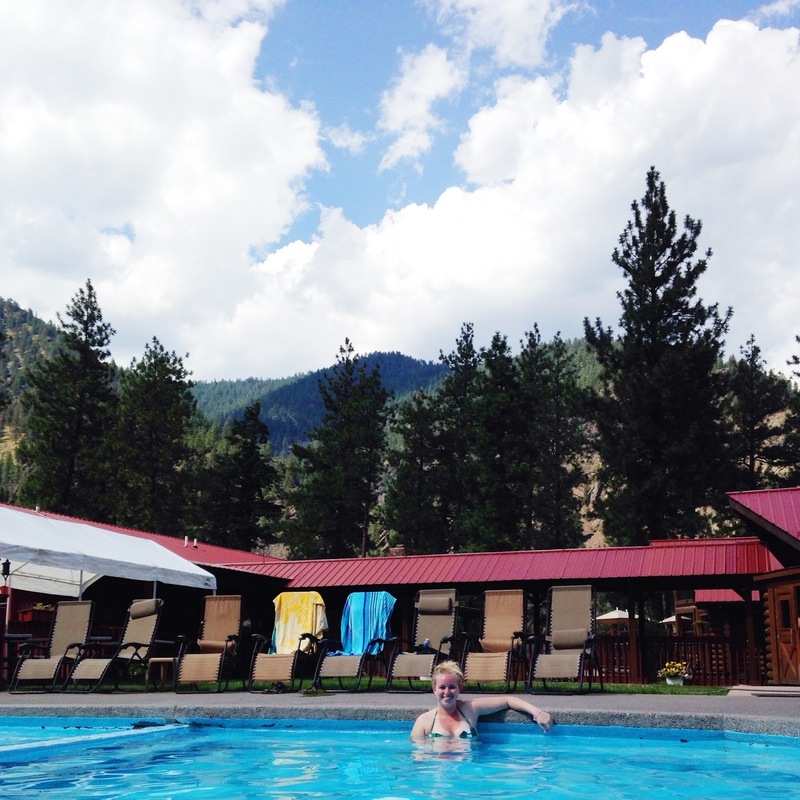 It was a great relax-day after hiking in Glacier, and it was amazing to see all the beauty that surrounded us while soaking in the pool! This hotel though was literally in the MIDDLE OF NOWHERE. Luckily they had a restaurant and mini-mart attached to it. Little did we (meaning my parents, brother, and I) know that it was a high-class practically 5-star restaurant. We were all drooling over the prime rib, mushroom and brie soup, and desserts. Yummmm. We ate up, went back to our cabin and got a good nights rest before heading out the next morning to meet Ryan's aunt and uncle for a day of rafting!